Things To do in Munich, Germany | Sites, Museums, Daytrips & More! Munich is the second most popular city for tourists in Germany, hosting more than 14 million foreign travelers each year. And that should come as no surprise. The bustling Bavarian capital is famed for its beauty, beer, and bratwurst. Filled with museums, breweries, palaces, sports, fabulous shopping and dining, there is simply no shortage of things to do in Munich. 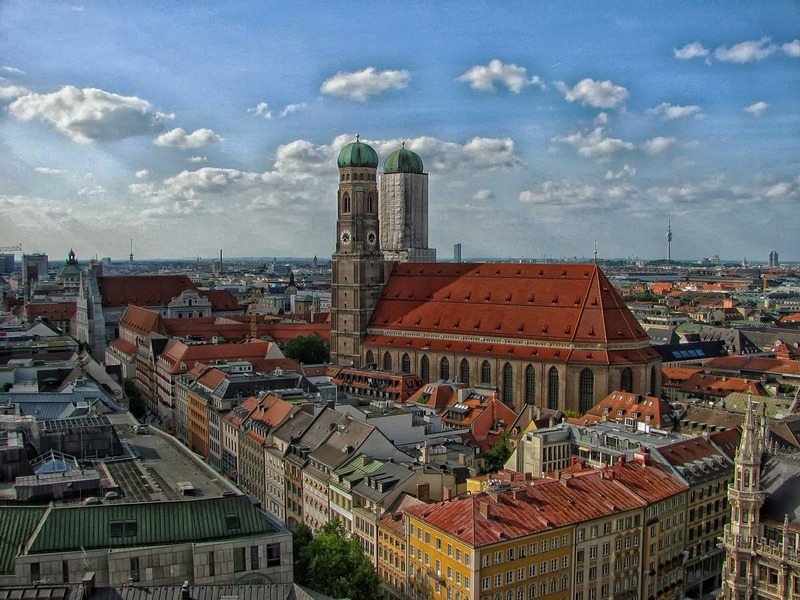 The German name for the city, München, comes from an Old German word meaning “by the monks.” Indeed, the city’s origins date back to the 12 century when Catholic Benedictine monks built a monastery in the area. For much of the millennium, Munich would remain one of the capital of Bavaria as well as the hub for Bavarian dialect and culture. During WWII, more than 50% of the city was bombed to rubble. 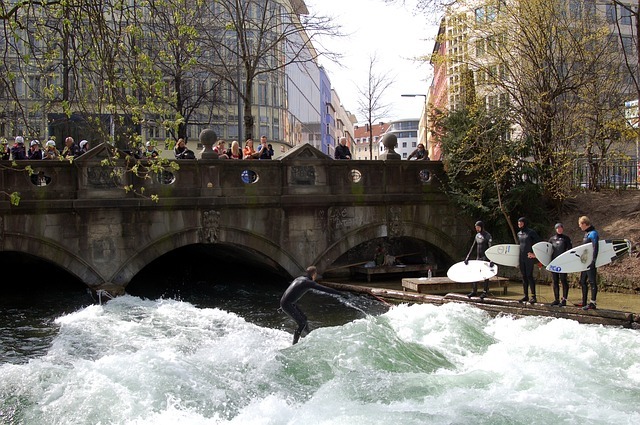 This included more than 90% of Munich’s historic center and oldest buildings. Following the war, the city of Munich would work tirelessly over many decades to painstakingly restore the old buildings. 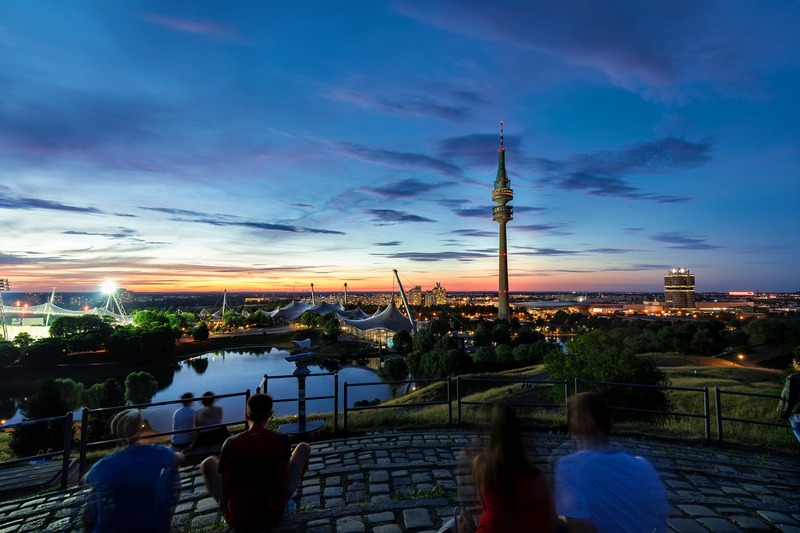 One of the only major cities in Germany to take this approach, Munich today is a stunning metropolis that boasts one of Europe’s highest qualities of life. Its beautifully restored architecture is complemented by the best of modern civil engineering and design against a backdrop of the Bavarian Alps. 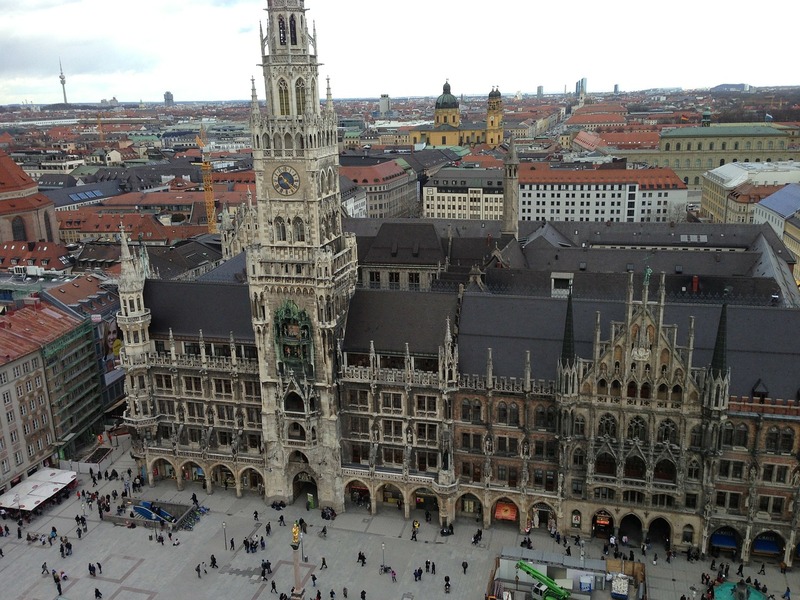 The most iconic square in Munich, the Marienplatz is the center of the city’s historic district. Marienplatz is home many of Munich’s most famous landmarks like the striking gothic Neues Rathaus (New City Hall) and the ringing bell towers of the Frauenkirche (Cathedral of Our Dear Lady). In winter, this beautiful city square is also the grounds for the glowing Munich Christmas Market. 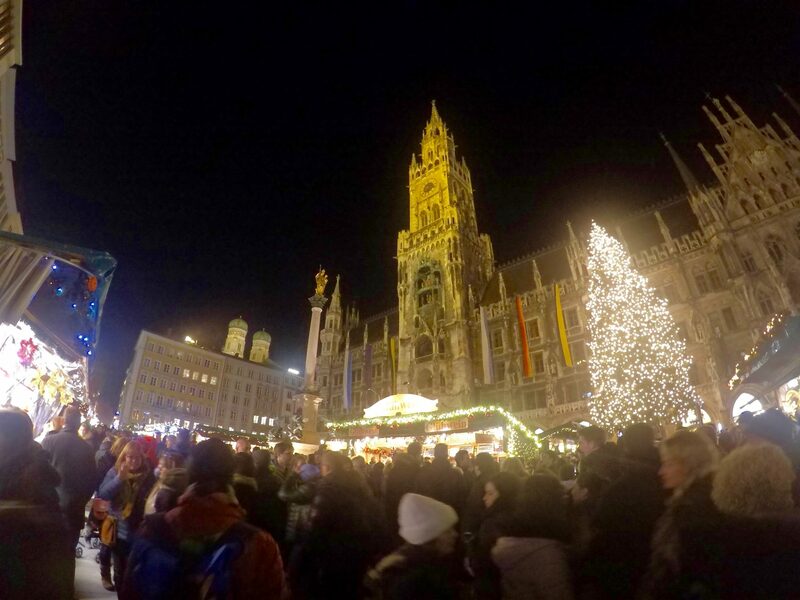 No matter the time of year, Marienplatz will offer some of the greatest photo opportunities in Munich. Because the country of Germany is so densely populated, most every medium- to large-sized city has a sizable urban green space to improve the quality of life for residents. 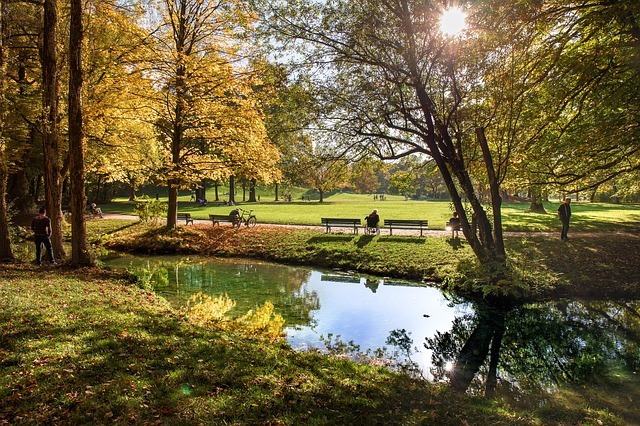 Munich’s English Garden, one of the largest urban parks in the world, is truly a wonder of civil engineering and grounds keeping. With beautiful foliage and sprawling, wide open spaces, it’s hard to imagine that this giant park is actually located in the middle of a bustling city. With more than 50 miles of paths and trails, countless sport fields and playgrounds, a petting zoo, an open air theater, two beer gardens, historic architecture, and even a place to surf in a man-made river, the English Garden is a fabulous place to spend the day. Visit during the fall to see the changing foliage. Come in the winter to frolic in the snow. Or stop by in the spring or summer to take a dip in the beautiful springs winding throughout the park. The regal Nymphenburg Palace is located on the northwest outskirts of Munich. Appropriately, it was once the summer residence of the rulers of the house of Bavaria. 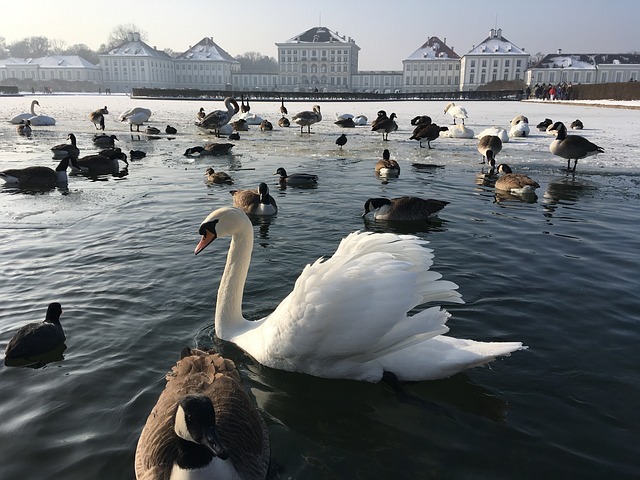 With sprawling gardens in every direction and three elaborate palace wings, there is no mistaking Nymphenburg Palace for anything less than home for royalty. A guided tour of the Nymphenburg Palace interior will take you through extravagant halls decked out with art, precious materials, and intricate architecture that could rival that of Versailles. But you don’t even need to go in to have a great time. Visitors can find plenty to keep them occupied simply strolling around the expansive gardens and sparkling reflection pools, often filled with swans. Top the afternoon off with visit to the Königler Hirschgarten brewery right on the grounds. 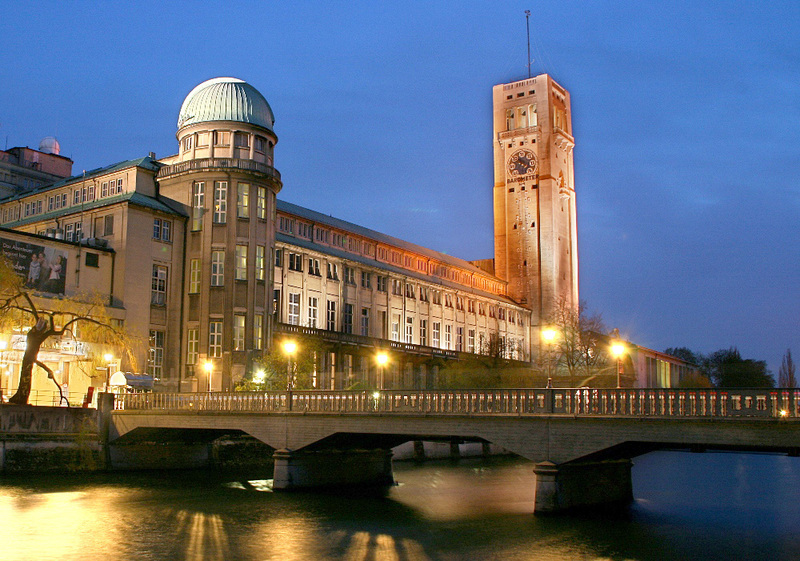 The largest science and technology museum in the entire world, the Deutsches Museum is the king of Munich museums. Tech buffs, families, and forward-thinkers alike could easily find enough fascinating exhibits here to keep them fascinated for the whole day. Exhibitions range from natural sciences to broadcasting, chronometry to environmental conservation, astronomy to nautical exploration. The Deutsches Museum also houses some incredible artifacts of bygone transportation methods. Anyone with an appreciation for the famed precision of German engineers will be delighted to an extensive collection of antique planes, trains, and automobiles in the Deutsches Museum. A series of three art museums all bearing the title Pinakothek are a must-see for art buffs in Munich. Each Munich museum houses extensive collections from different eras of western art. The Alte Pinakothek (the Old Pinakothek) is one of the world’s oldest art museums and is home to classical western artworks spanning from the 13th to 19th centuries. 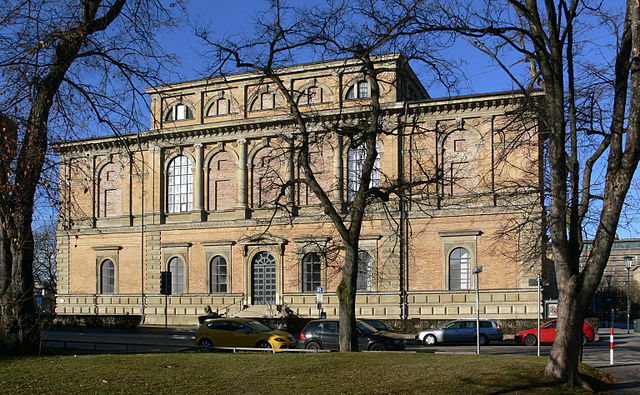 The Neue Pinakothek (the New Pinakothek) features priceless works of contemporary art from the 18th and 19th centuries. Finally, the Pinakothek der Moderne (the Pinakothek of the Modern) is a modern art museum with works from some of the most revolutionary artists of the last hundred years. Visit all three of these Munich museums in succession for a whirl-wind through art history. Or pick your favorite era to experience the impeccable curation. Built outside of the Olympiapark shortly after the success of the 1972 Summer Games in Munich, the BMW Musuem is a dream come true for lovers of cars. 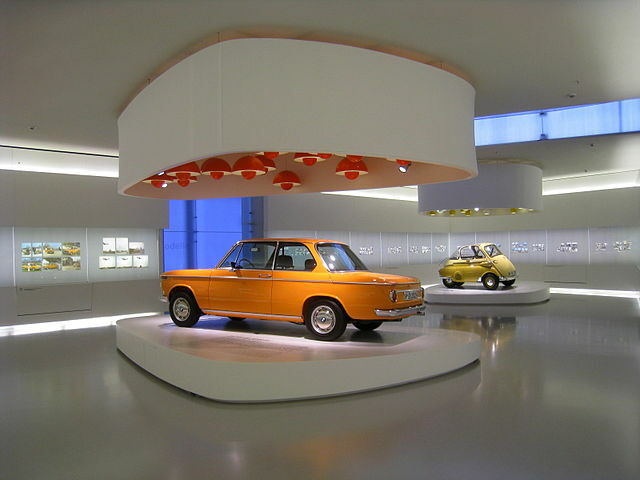 This Munich museum is dedicated to the iconic German automobile maker, and its showrooms could make anyone want to start a collection of their own. Whether vintage vehicles are more your speed or you’re more into the newest models with all the trimmings, you’ll find plenty of beauties to drool over at the BMW Museum in Munich. 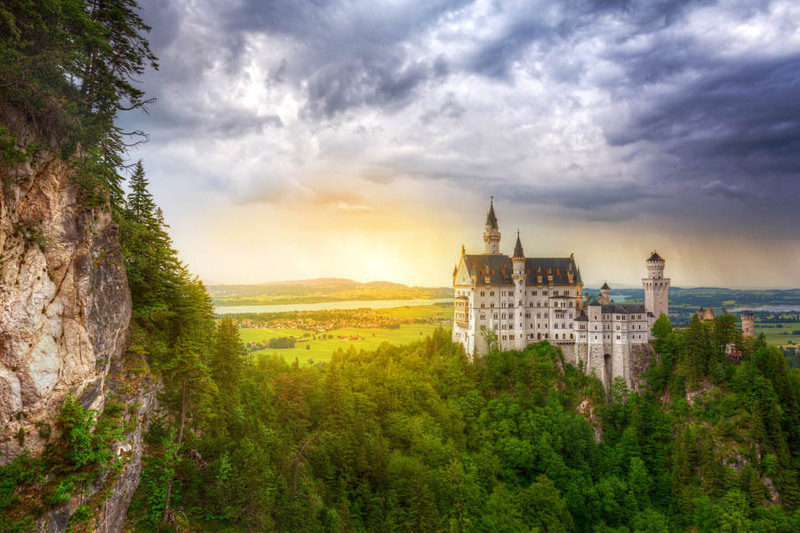 The most famous of the many castles and palaces in Germany, if not the most famous in the world, is located just 75 miles southwest of Munich on the Austrian border. Meticulously preserved and perched atop a hill in the Bavarian Alps, Neuschwanstein will take your breath away. This grand building embodies the fairytale vision of what a castle should be, and appropriately was the inspiration for Disney when making Sleeping Beauty. 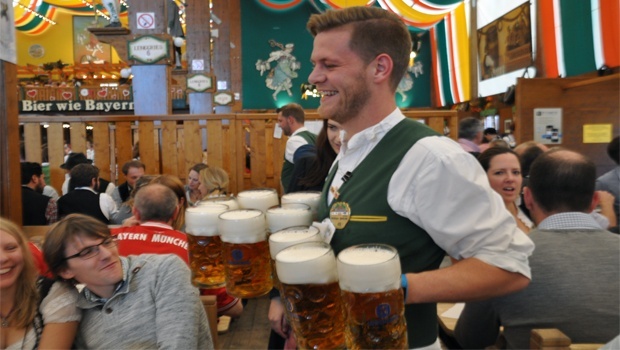 We take our Oktoberfest travelers on a special day trip just to see this marvelous site. The region offers great hiking and bike trails, as well as some jaw-dropping views and delightfully fresh mountain air. 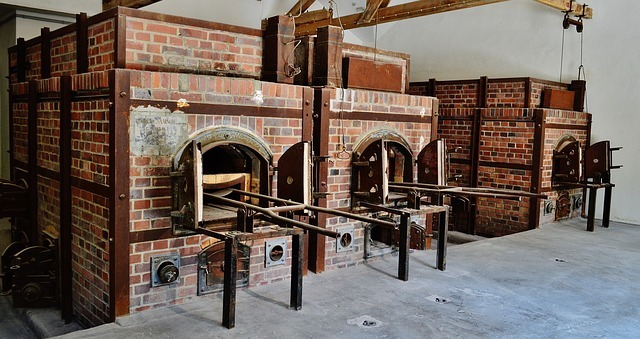 One of the most emotional sites you will ever visit, the Dachau Concentration Camp and Holocaust Memorial is located about 10 miles north of Munich in the small town of Dachau. 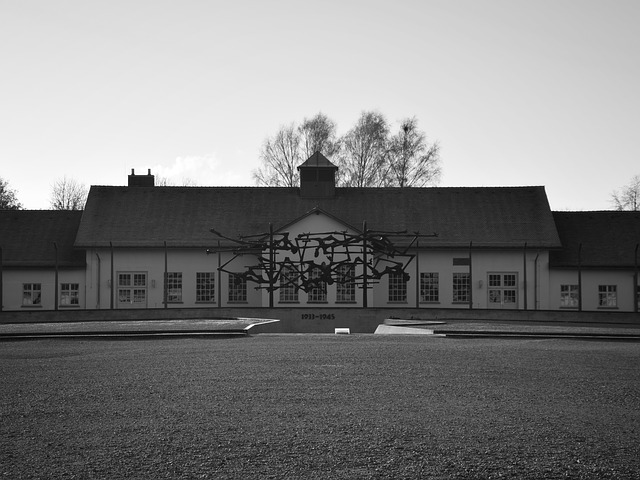 First built in 1933, this concentration camp was the site where tens of thousands of Jews and other “undesirables” were corralled, tortured, and exterminated under the Nazi Regime. Some 30,000 prisoners were liberated by U.S. Forces in 1945. Visiting the Concentration Camp at Dachau is a harrowing reminder of one of humanity’s worst crimes. The Memorial does not at all take its role lightly and does a great job of laying out the historical context and the terrible extent of the brutality. This is a day trip from Munich that will move you to your very core. 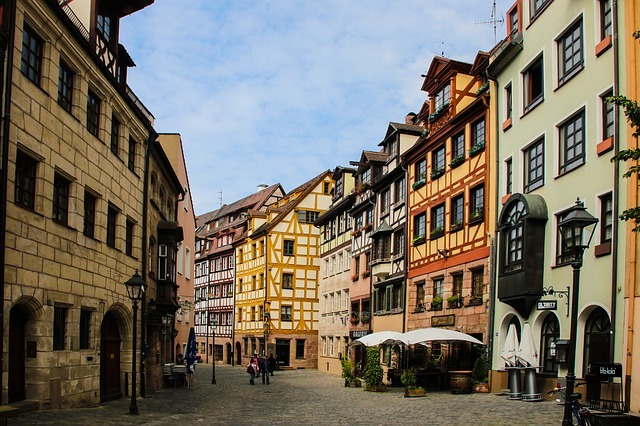 An hour long trainride north of Munich is the impossibly quaint city of Nuremberg, one of Bavaria’s oldest towns. This city, despite being home to more than 500,000 residents, matches the quintessential picture of what an old-timey European village should be. With canals running through it, its own stone castle, gothic cathedrals, and winding cobble stone streets, visitors will find plenty of charm in Nuremberg. This day trip from Munich is a fabulous chance to get away from the hustle and bustle of the big city. Nuremberg is one of modern Germany’s largest cities that was built within fortress walls. One of medieval Europe’s most advanced architectural defensive systems, the entire Old Town of Nuremberg is contained within the walls with the castle as its centerpoint. Wandering through the narrow streets of this picturesque city will give visitors a feel for the feudal history of the area and the Bavarian culture born out of it. 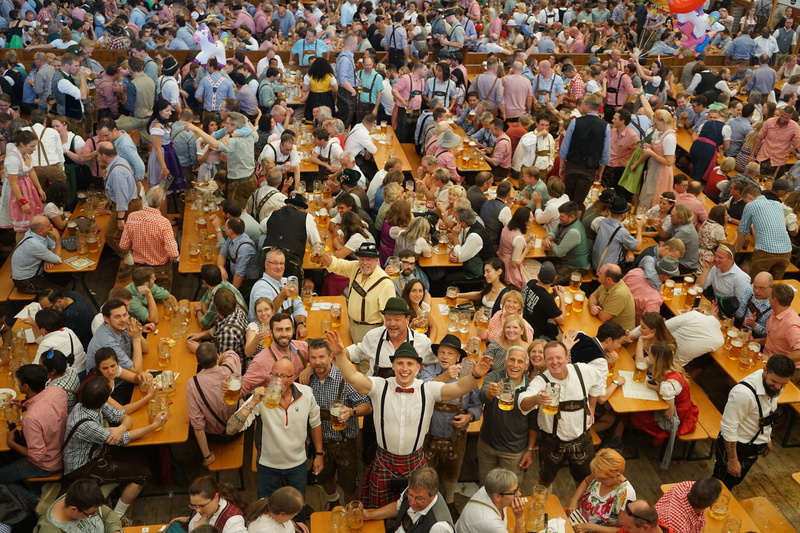 Getting excited planning your trip to Munich for Oktoberfest? Download our official guide to the festival for more exciting tips about things to do in Munich, Germany!